Fighting Parkinson’s, and Marie is four years symptom free! WOW! Marie is four years symptom free. How inspiring is that! Four years ago, in the middle of my November to Remember, No Excuses November, 30-day challenge 2011, a comment was posted on the blog that Marie would not be accepting the 30-day challenge because she was fully recovered. Now, here we are, four years later from my November 11, 2011 post entitled, “Fighting Parkinson’s, and Marie is symptom free.” For the last four years, Marie has continued posting comments to inspire and encourage all of us. Up until that time, I was the only one who had cured myself utilizing the Parkinson’s Recipe for Recovery®, so Marie curing herself became proof of concept: Yes, the Recipe would work for others! This was big news as many people were greatly inspired to learn that the Recipe worked for Marie — it made them know it could work for them. “I’ve just read both of the latest posts, and all of the comments. How exciting to feel all the faith, courage and support being shared here. We are a lucky bunch! It is wonderful to read the comments and see the shifts in awareness and the victories over the disease. 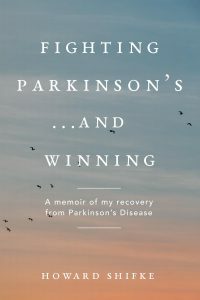 I never took any meds and am in awe of each of you who is defying that medical model and choosing to take yourself off the drugs and fight Parkinson’s. You are so brave, and from what I read in your posts, it is working. You are getting better. and how dedicated you are to healing yourself. Thank yourself for this precious gift you are giving yourself. Sit in that feeling and give your brain a lovely dopamine bath. Our gracious guide, Howard, always tells us that we are doing it for ourselves, and still, I think we tend to praise everyone else for the inspiration they are providing. Be grateful to yourself, too, for having that opening that let the inspiration move you. Additionally, two years ago, we all were fortunate to have Marie attend my Santa Fe, New Mexico workshop. At the Santa Fe workshop, I got to meet Marie in person for the first time. I can assure you, she is the luminous soul all of you presumed she would be from reading the comments she continues to post on this blog to support and inspire all of us. Even though we had met in person for the first time the day before, I felt that special connection, the one that feels like you have known somebody for decades, not a couple of days. Before I left, Marie shared with me something she had been told in a seminar many years ago. The instructor explained that fear is like a prayer. If you live in fear, it is like praying for everything you fear to come true. Let’s live in faith. Let’s live in love. Then faith in recovery can be your prayer, and love for yourself and others can kindle the flame of joy in your heart. It is so beautiful to read all of these posts. To those of you who have accepted the 30 Day Challenge, congratulations!! You are so fortunate to have found Howard and his amazing Recipe for Recovery! You are recovering from Parkinson’s! Howard once told me that for some people who find the website….and I paraphrase here, since I do not remember the exact words….a block to recovery is thinking that Howard is so amazing ….so committed, so full of Faith…that,in some way he is “better” and that is why the Recipe worked for him. Maybe you do not believe that you could do the Recipe ”as well” as Howard did it. Maybe you don’t feel 100% faith in your recovery and you think that will keep you from recovering. To each of you I want to say that you can most certainly do the Recipe for Recovery as well as I did, and I recovered. I committed myself to doing the Recipe, even when I was not sure that I believed it. The commitment was rock solid. Faith was a little more difficult. When I didn’t feel like doing the Recipe, I did it anyway. When I did not have Faith in my recovery, I did not let that derail me; seeing how easy it would be to let lack of faith get in my way , I “acted as if” I had faith, until my faith caught up with me again. So, my dear friend, Marie, here we are four years after you becoming cured from Parkinson’s. Absolutely amazing! Absolutely inspiring! Absolutely loving! Your recovery…and you…absolutely amazing! and inspiring! and loving! You could have given your gratitude and walked away. You could have said, “I am cured, good luck to the rest of you…and disappeared.” But no, here you are, still opening your heart to all of us, still being such an active part of our recovery community with your blog post comments. I want everybody to know that I never have asked you to post a single comment since your recovery, but instead, that you have continued to give of yourself from your heart. I am grateful for you, Marie, my dear, dear friend. With gratitude, blessings, hugs, and love, Howard. CONGRATULATIONS, MARIE!!! FOUR YEARS SYMPTOM FREE FULL RECOVERY, CURED FROM PARKINSON’S!!! Who’s next? What are you waiting for? 46 Responses to Fighting Parkinson’s, and Marie is four years symptom free! About a week ago I felt more normal and could do more for longer. I had experienced improvements like this before but they were temporary lasting a day or two only. When I told those around me that this seemed different and was a ‘sea change’ I think nobody believed me. It is now 7 days and I am at least as active, energetic and capable as 4 years ago ( I was diagnosed in Oct 2006). I had previously been spiralling downwards into what seemed like a black hole so this is a timely escape!!! There were times when I seemed to be getting nowhere but I decided to keep going and then I could see the dawn as I emerged from that all engulfing blackness. I have yet a long way to go but I am on the way- well on the way and accelerating! Howard, thank you for your inspiring message! Hi Marie, I am so happy for you on your 4th Anniversary ! A joyous reminder to a truly beautiful and loving soul. Marie, I say ” Amen” to all the beautiful words Howard has just written and personally I would like to say thank you for your continuing love, support, encouragement and guidance to your fellow Warriors, you are one of our finest. Bless you always and continued health and happiness. Congratulations on 4 years being cured. Thank you, Marie, from the bottom of my heart for your love and inspiration. congratulations Marie …recuerdo que yo recibi su apoyo con sus alentadoras palabras muchas gracias. congratulations Marie …I remember getting support with your encouraging words thank you very much. Thank you so much for your beautiful, positive words of encouragement. I can relate to so many of your posts that I have read. Many years ago, I was able to make it through another very serious, difficult health challenge. Each day for two years I was fully committed to do all that I could to follow the program that I had chosen. Although this was before I really knew much about positive affirmations; I decided to look myself in the mirror and tell myself, with a lot of positive feeling, and a smile on my face……. “I am getting healthier and happier everyday in every way . ” I did this at least once a day and sometimes many times. (Anytime I felt myself doubting.) I then went about doing what I had to do for the day, while showing through my actions that this statement was true. I was committed to my commitment. Debbie, I take away a lot from what you wrote here! Thank you so much for sharing your life experiences and especially your examples of positive thinking. I, too, want to remind myself that I am getting happier and healthier every day in every way. I want to look at myself in the mirror and smile. I want to be committed to my commitment. Beautiful thoughts. Beautiful you!! Roger, I’m experiencing something similar to what you describe…feeling much better than usual today…not the usual pain, dizziness, stiffness, weakness. I’d forgotten how great it feels to be normal! A good day to celebrate with Marie her 4 year anniversary. Yea!!! I’m so thankful for you Howard, and Marie…praise God for your recovery! It gives me hope! Got posted before finished! I was recommending a very helpful book that shows how God allows suffering in our lives for good. Hi Trish, strangely enough I have just got that book myself! I read it a number of years ago but have been thinking about it a lot lately so decided to get it. It’s very inspiring. Marie – congratulations on your four years of being symptom free and for being such an inspiration. Thank you Trish for the book recommendation. I just ordered the Kindle edition and looking forward to reading it. To Howard, my dear friend, thank you so much! I will never forget the amazing and total shift that happened when I found your blog, like having been feeling my way blindly through a desperate dark tunnel and suddenly stepping into the light! It was a whole new world on the other side. And your love and generosity of spirit lit that world. how completely it changed my life! That was the most remarkable shift ever in my life. Thank you. Thank you. Thank you!!!!! I love you so much! And am so grateful every single day. five years ago, After having read so much about Parkinson’s online, all of it negative, all of it frightening, a friend to whom I confided my despair and fears asked me if I had ever looked up the connection between Qigong and Parkinson’s . I had never heard that word qigong before. but when I typed in “qigong+Parkinson’s ” I found your video of medical qigong for the liver, and standing meditation. Those linked to your blog and the full Recipe for Recovery. After recovering completely, I do not do the Recipe for Recovery anymore, but have continued with meditation and qigong as daily practices. Now some exciting news to share to celebrate this special four year anniversary : by the end of this month, I will have completed a certification program as a qigong instructor! Without my symptoms, I would have been a different person. Without symptoms, I would not have had the motivation to make huge changes in my life and commit to being a happier and healthier person. Recovering,is so empowering. From where I stand today, I can truly say those symptoms served me well. My very best wishes to all of you following the Recipe for Recovery. My deepest wish is that this journey through and beyond your symptoms will empower you and amaze you. Congratulations and thanks very much for posting. Your information and encouragement help us a lot. They, together with Howard’s help and encouragement give us faith and keep us going. Like you said, when I was first diagnosed, I felt like I was in a dark tunel, and given a death sentence, but when I found Howard, I have hope and been happier. I try to do the Recipe through good days and bad days. To be certified as a qigong instructor one studies with a qigong master. Not all qigong masters offer instructor certification. Some do. Then, depending on who that master is, you follow the program they have that leads to certification. Thanks Marie. I’m in Australia. I saw some sites that teach Qigong online, and, probably including Instructor cert too. Do you think it’s ok to do that? or is it face to face more appropriate? I feel maybe for my time online may be better as I can do at my own pace. Thanks Marie. I recommend an instructor who you can meet with in person, if possible. Also practicing with other people in a class can be very beneficial. Certainly online is a place to start, and that is how I started. Thank you Marie. Congratulations on becoming a qui gong instructor. How great it is to have read how this Recovery amazed you and changed your life. I feel I am a kinder person to myself and others because of this journey. I have more compassion and gratitude, and feelings of love and peace. For this I am deeply grateful, to the Divine, myself and others. Life is special. 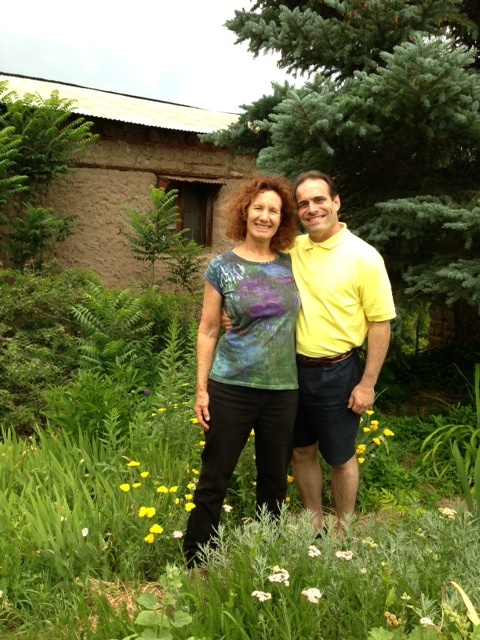 Congratulations, Marie, both on your recovery anniversary and on your forthcoming qigong certification. Thank you for your continuing involvement – your input is deeply inspiring and encouraging. Congratulations Marie on being recovered for 4 years and also on becoming a qigong instructor!You are such an inspiration and both you and Howard have helped me through any dark moments. Congratulations Marie on recovery and on becoming a Qigong teacher! Thank you for sharing and inspiring us all. Just by sharing so generously you’ve made a difference to all of us. I pray that one day soon we’ll all be able to shout out aloud about our recoveries and successes. Your comments about the journey that you took as a result of your symptoms especially resonated with me. I too am on that journey and am so grateful for the people I have met and connected with as well reconnected with. I’m doing things and participating in activities that I would never have imagined. So our encounter with Parkinsons is just that…. an encounter that one day will end but was necessary for our journeys. Thanks for travelling with me, especially Glynis and Cynthia. I so relate to your comments Waseema. Congratulations Marie on on your fourth year anniversary and on becoming a Qigong instructor! I am very happy that I met you in person here in Santa Fe. You are a great inspiration. Thanks, Joe. And best wishes. I am very happy to read these positive posts. I am taking medication. I had a bad experience last year when my neurologist added MORE medication. Since then I have STOPPED ADDING more meds.even though she has given me more prescriptions. I havent filled them. I take vitamins and mineral supplements. Also, I am waiting for results from some blood tests. I keep putting off your recipe. But. I hope to get started very soon. Did anyone ever know the role hypothalmus plays in Parkinsons ? When I found the recipe back in July, it seemed really daunting so I built up my practice of it very gradually, starting off with just one exercise per day and then slowly adding more. It wasn’t very long at all before I started to feel some benefits in terms of an improvement in my general feeling of wellness. It took me till late October to build up to the full recipe. It’s time-consuming but it rarely feels daunting now and it increasingly feels enjoyable: I think I can genuinely say I’ve got to the point where I do it because I believe in it and because I love myself. I hope you’ll soon feel able to give it a go. There are days when I feel almost normal, until I start to move my body and then I am reminded forcefully that I still struggle with symptoms. After reading this blog and all your wonderful comments, I am feeling that maybe in some small way I am making progress towards my recovery, and I don’t realize that it is just that, progress! Some days are better than others, but I don’t attribute it to being close to recovery because I still have symptoms, but now that I think of it, some days my body moves much easier. Thank you warriors for this enlightenment. Congratulations Marie on four years anniversary, symptom-free. Thank you for staying connected with this group of warriors, you give all of us more hope and encouragement than you realize! Love and blessings to all of you and to Howard, an incredible human being. Your comment very much reflects my own experience and feelings. Hi Marie and Howard, you both look so free in yourselves and happy in that photo. It’s so obvious how well you are, both shining. It’s very inspiring to read about your recovery Marie and Howard, it makes me feel so inspired and know it’s possible for me too. Big thank you both and love. Love to all the soul warriors here. xxxxxxxxxxxxx and thank you to myself for trying and doing my best, and learning to love myself. I have only recently become aware of Howard and the Recipe for Recovery. I am excited with the prospect of complete recovery and cure. I have always felt alternative care is a valid option, though my neurologist, the “best in the city” was not even luke-warm to the idea. I have had Bells Palsy two times (right side 1999, left side 2012), and benefited immediately from acupuncture. I have often wondered if there is any connection to that and my parkinson’s? I believe the body has the power to heal itself, with positive and spiritual support. We are wonderfully and powerfully made….in God’s image. It makes complete sense to believe in the restorative powers as well. I am grateful to Howard for his journey and the willingness to share this with others. There is intense power in positive thinking. I was diagnosed in 2013. I don’t know how long the recipe will take, but I am ready to begin. I too, recognize that I am a different person, due to this experience. I have met some of the most wonderful people as a result of this journey. And my outlook, attitude, and heart is much more compassionate and understanding. Thank you for this website, blog and all the positive comments. Good luck with getting started on the recipe. Everyone here will be rooting for you. Hi, Just returned from my new neurologist. She’s kind and consistent in her traditional professionalism,-listened to what I am doing, Recipe, w/o pooh- poohing it…Told her about Howard and Marie’s experience. Left her a copy of the ‘Marie blog post’ to read. Since I’ve been shaking up a storm & other symptoms, I decided to accept renewed dosage of sinemet + one other med,- so I can better do the Recipe…Feel like a ‘back-slider’. Feeling both good and disappointed that I’ve ‘given in’ to this med. route for the time being. Giving it a 6 week shot, while also doing the Recipe. Anybody else out there having experience doing something similar? Tom,dont feel bad! I too must take 2 a day to get my qigong exercises done. I was diagnosed 7 years ago and simply can do qigong without them at the moment.Figure that as I get better I can gradually decrease the drugs again. Thanks, Christine & Karen, for your encouragement. Through this process learning to give up controlling outcomes,- surrendering — and that my best is good enough. Howard’s current blog speaks to this dynamic,(as usual!) Why does it amaze me anymore! Now, I continue on this journey with compassion for myself, midst the love & support of faithful Warriors…. I discovered earlier that Howard has posted a new blog post – see link under “recent posts” – but he hasn’t been able to notify us because he has a problem with his outgoing email.